An Intimate story about the thread of autobiography, from a poet who transformed love into a philosophy | A writer, Leon, his manager, Bruce, who is also his best friend, a Santon-counselor of Guatemalan origin, Bongo, who never comes out of the house. Or rather, he leaves the house only to climb on his roof, to admire the sky. Leon is in the midst of a creative and existential crisis, which only aggravates when he meets the girl: He does not know his name, does not know where it comes from and can not even talk to him, knows only that it is beautiful, like an island in New Caledonia. And that the Atavian insecurity that has always plagued him can do nothing but get out of the way. But Leon has not reckoned with Bruce's mad impetuitude, with the wise foresight of Bongo and, above all, with the ninety-nine hearts that he brings in. Promozione Il libro "Cento cuori dentro" su Unilibro.it è nell'offerta di libri scontati Scopri tutte le novità appena arrivate #inLibreria! 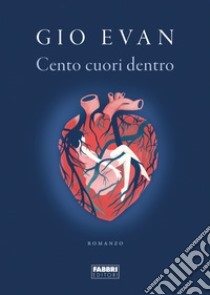 Recensioni Scrivi la tua recensione del libro "Cento cuori dentro"